To help you get other services (e.g. from the social work department). When we have a duty to others (e.g. child protection cases). Anonymised patient information will also be used at local and national level to help the Department of Health and government plan services (e.g. for diabetic care). Reception and administration staff require access to your medical records in order to do their jobs. These members of staff are bound by the same rules of confidentiality as clinical staff. The purpose of Warmdene Surgery is to purchase and manage healthcare services to provide patients in our practice with the highest quality of healthcare. To do this, we keep records about you, your health and the care we have provided or plan to provide to you. Reviewing the care we provide to make sure it is of the highest standard. Supporting care service planning and commissioning. Warmdene Surgery is committed to protecting your privacy. We will only use information collected lawfully in accordance with the Data Protection Act 1998 and undertake not to use any information we may hold about you for any purpose other than that for which it was collected, unless we have obtained your consent. In addition, everyone working for the NHS and the CCG is subject to the Common Law Duty of Confidence. Under the NHS Confidentiality Code of Conduct all our staff are also required to protect your information, inform you of how your information will be used and allow you to decide if and how your information can be shared unless there is a legal exemption. We contract with North East London Commissioning Support Unit (an NHS Body) to provide a range of services to us, for example holding and analysing the data we collect from other healthcare providers. We ensure that our partner agencies handle our information under strict conditions and in line with the law. All staff have contractual obligations of confidentiality, enforceable through disciplinary procedures. Staff with access to patient identifiable information have received appropriate on-going training to ensure they are aware of their responsibilities and staff are granted access to personal data on a need-to-know basis only. Data collected will not be sent to countries where the laws do not protect your privacy to the same extent as the law in the UK. In order for Warmdene Surgery to perform its commissioning functions mentioned above, information that we may hold is shared from various organisations which include: general practices, acute and mental health hospitals, community services, walk in centres, nursing homes, directly from service users and many others. At any time you have the right to refuse or withdraw consent to information sharing. The possible consequences will be fully explained and could include delays in receiving care. If you have any questions or concerns regarding the information we hold on you or the use of your information, please contact us. We have Comment Forms available in reception (or via our website) where you can leave both positive and negative comments. Alternatively you can complete a Friend & Family Test Form. We welcome feedback from patients as it enables us to review current systems and make changes where appropriate. 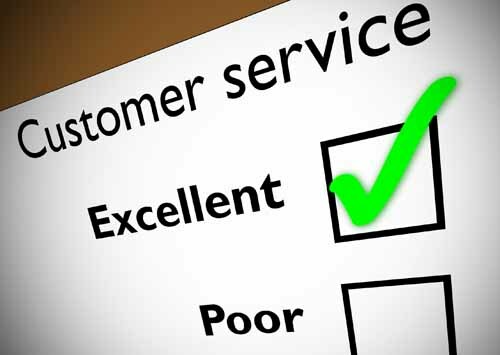 To pursue a complaint or issue with reception, appointments, telephone access, prescriptions etc. please speak to one of our Reception Team in the first instance. If your issue is with something other than the above, please put your complaint in writing to the Practice Manager who will deal with your concerns appropriately. Further written information is available regarding the complaints procedure from reception or can be downloaded here.